Medicare is health insurance provided by the Federal government. Medicare acts as a defined	secondary payer in the context of workers compensation. The intent of Congress is to reduce federal spending and to protect Medicare’s financial integrity by expanding its recovery rights. Requiring Medicare Set-Aside accounts as a part of settlements is one method used to protect Medicare financially. Would otherwise be payable by Medicare. The settlement amount exceeds $250,000 and the injured worker can reasonably expect to become a Medicare beneficiary within thirty (30) months of the settlement. Are suffering from end-stage renal disease. 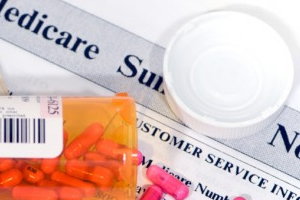 Have an end-stage renal disease but do not yet qualify for Medicare. Several methods can be utilized to fund a set-aside. Specifically, a MSA can be funded via a lump sum payment, a structured settlement annuity, or a combination of both. Structured settlements are a great tool to fund a MSA because the cost of an annuity provides an additional savings to either the insurer or employer. If the set-aside is exhausted between annuity payments, Medicare will step in and pay for qualified medical expenses until the release of the next annuity payment. A MSA can be self-administered by the injured worker, a custodian or a guardian. A MSA can also be administered by a third-party administrator. The account must be an interest-bearing account and the administrator of the account should only allow distribution for those medical expenses related to the work injury that would otherwise be covered by Medicare, thereby preventing a financial burden shift to Medicare after settlement. The administrator will also have to provide CMS with an annual accounting of the expenditures from the account. If there is a questionable expense, the administrator of the account should obtain approval from CMS before paying for the questionable expense.